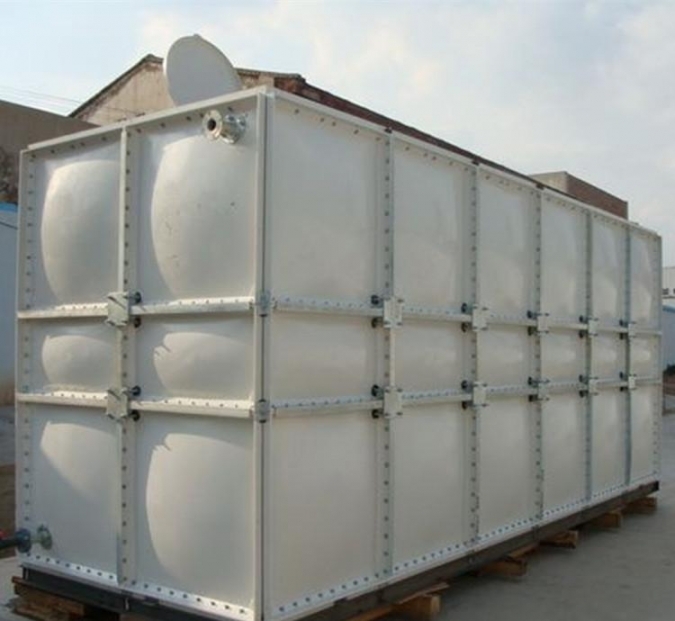 FRP Sectional Water Tank, the major advantage is light weight, anti-rusted, non-leakage, long durable time and easy to clean. 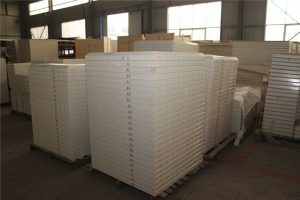 It is widely used in hotel, school, hospital and coal mine enterprise. 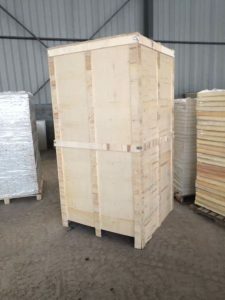 It is assembled by moulding single panels, sealing material, metallic parts and pipeline. 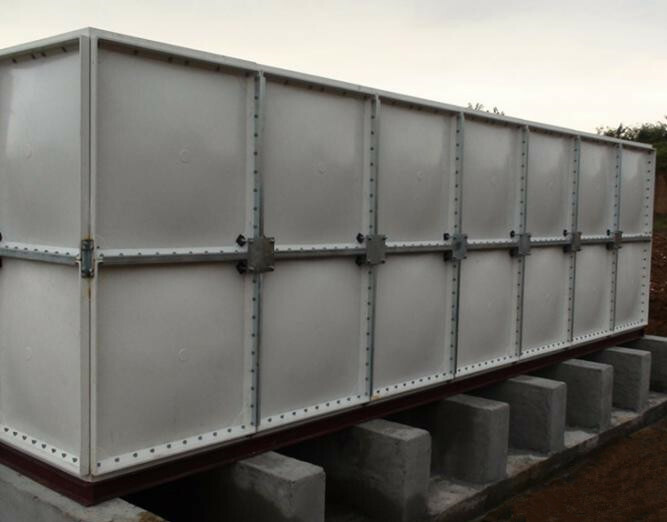 Water tanks could be custom-made with capacity from 0.125 m³ to 5000 m³ according to your needs. 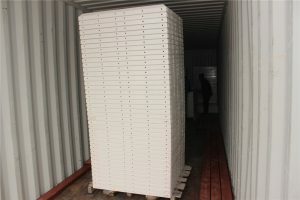 Generally the height should be no more than 4 meters, the length and width can be limitless. 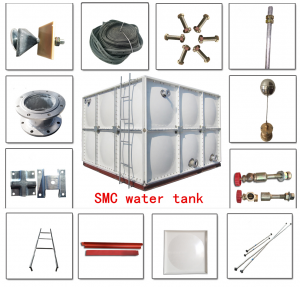 The SMC combined water tank consists the SMC plate, sealing materials, structural article and the pipe system. 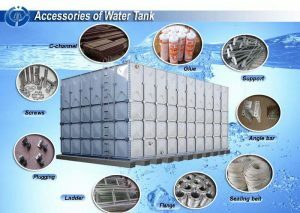 The general water tank is standard design, the special water tank need to the special design. The overall strength is high, no leakage, no deformation, convenient to maintenance and repair. 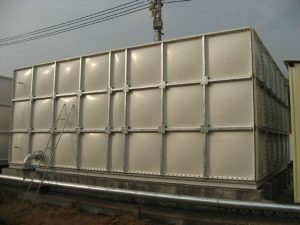 (3) Boiler system of the supplementary water tank, heat preservation water tank. 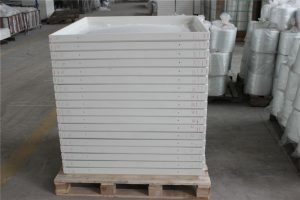 The materials of SMC water tank plate is SMC sheet which is food-grade resin. It is made by high temperature, high pressure and mechanical pressing. (2) In the shape design, there is sag arc in the middle of water tank plate, it improve the bearing capacity of water tank. In addition, it has the 45° and 90° flange so it don’t need to corner fittings. 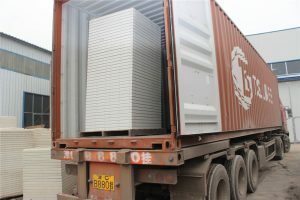 (3) The specifications of water tank plate have: 1000*1000 mm; 1000*500 mm, 500*500 mm, the thickness of plate has: 5 mm, 8 mm, 10 mm, 12 mm, 14 mm,16 mm, 18 mm and 20 mm. 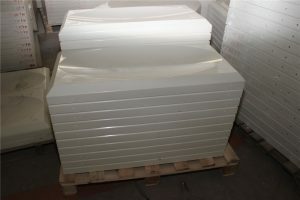 ( 5 mm thickness plate is used for the cover plate), so it can assemble any required capacity water tank. Step 1. Install steel footings on leveled concrete foundations. Step 2. Align GRP panels to be pre-assembled. Step 3. Place rubber sealant from ready-to-use roll between panels. Step 4. Connect panels with bolts and nuts. Step 5. Position bottom panel sections, and finish up base of tank. Step 6. Position three sides of the tank. Step 7. 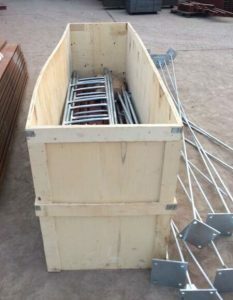 Position and fix roof panels and if required, roof support pipes and plates. Step 8. Install reinforcement if required. Step 9. Close up the tank with the fourth side. Step 10. Finish the internal or external reinforcement. Step 11. Fill and test. 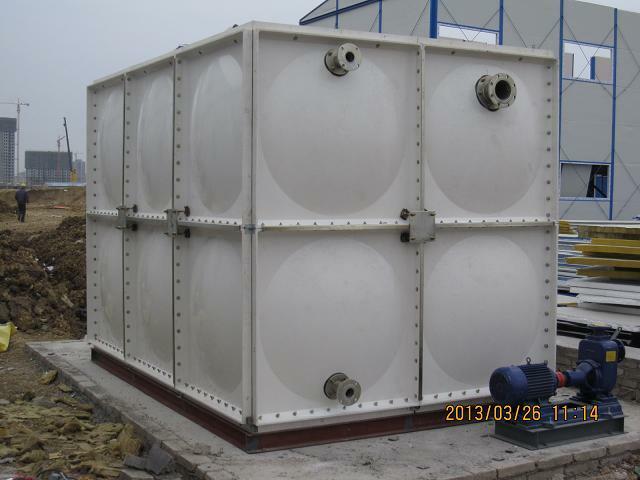 If you need the GRP/FRP/SMC panel water tank, please feel free contact with me.